The Hanover College Panthers Men’s Soccer Prospect Camp is inviting all male soccer players who dream to play at the collegiate level. This event is a first-rate soccer training program for players who want to bring their game to the next level. It will be on the 29th of October at the Hanover College campus. Furthermore, the program will focus on enhancing skills like dribbling, passing, and defending. It will also cover the tactical side of the game. The camp’s objective is to inspire players to achieve their full potential in an enjoyable training environment. All the sessions and instruction will be under the supervision of the Hanover College men’s soccer coaching staff. Hanover College is a private, coeducational, liberal arts college in Hanover, Indiana. Its founder is John Finley Crowe, a prominent Presbyterian minister. Correspondingly, Hanover College is an affiliation of the Presbyterian Church. The college has an accreditation from the Higher Learning Commission. Meanwhile, its teacher-certification programs for elementary and secondary education has an accreditation from both the Council for the Accreditation of Educator Preparation and Indiana Department of Education. The college is offering 33 major academic programs and is home to around 1,100 students. The college is also a top-performing institution. In fact, it is 112th in National Liberal Arts Colleges, 2018 edition of Best Colleges rankings. It is also 45th in Best Value Schools rankings. In the sporting world, Hanover College fields 16 sports teams in the Heartland Collegiate Athletic Conference of NCAA Division III. They are the Panthers and their official colors are red and blue. Matthew Wilkerson is the head coach of the Hanover College men’s soccer program. He is in his 6th season at the reins of the Panthers’ men’s soccer team. Moreover, Coach Wilkerson is a USSF National A License as well as a USSF National Youth License holder. Then, the Panthers’ assistant coaches are Matthew Eldridge, George Davis, and Tim Dobrowolski. 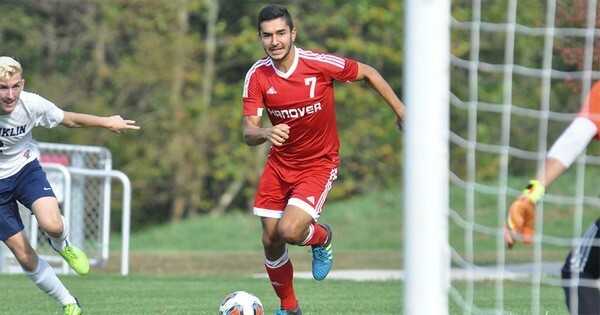 The Hanover College Panthers Men's Soccer Prospect Camp will inspire players to achieve their full potential in an enjoyable training environment.